Now that the weather has turned and the dark nights are rolling in, many of us are strongly anticipating December, when the start of the festive season also means the start of the party season! Giving us all a much needed excuse to dress up, go out and dance the night away, which is exactly what we need during the colder months… Even though sometimes we might just want to snuggle up on the sofa and watch Netflix! Although it might not be December yet, it’s never too early to start preparing for the slew of parties that will pop up around Christmas and New Year and doing so provides an excellent distraction from those dark autumn evenings. Feeling good and looking fabulous can require some extra effort at this time of year, when the weather can wreak havoc on our hair and skin and when we’re often forced to wrap up with layers of jumpers and scarves. But by following our top tips, you can make sure you’re party ready when the festive season starts…. The winter weather is certainly not kind to hair, making it dry, damaged and sometimes flat or frizzy. While this can be covered up with a hat or scarf on an average day, for the party season it will most likely be visible for all to see. So now is an ideal time to start a winter hair care routine that will make sure your locks are healthy, strong and looking their best during the festive season. All hair types can benefit from deep conditioning treatments once a week, but this is especially true for those with particularly dry or curly hair. During the colder months you should aim to limit the damage done to your hair by the weather, which means giving it some extra care, attention and conditioner! It’s also a good idea to cover your hair up on particularly chilly or windy days, just to avoid additional damage. The biggest party nightmare of all has to be buying a beautiful pair of heels and then discovering that they are torture to wear. Buying your shoes early and wearing them in is an absolute must for the party season, as it will save you a huge amount of pain and allow you to actually enjoy yourself rather than spending half the night hobbling around, or covering your feet in plasters! If possible, choose one pair of versatile heels that you can wear to multiple parties, so that you don’t have to wear in lots of different pairs of shoes. You can do this by wearing them out to dinner or drinks, or even by wearing them around the house several times a week to help break them in. Breaking in your new shoes will help to soften the upper area of the shoe making them mould to your feet, instead of trying to make your feet mould to the shoe! There’s no doubting that one of the most attractive features you can have is a bright white smile, but it’s something that many of us neglect, especially amongst our coffee and wine drinking habits. 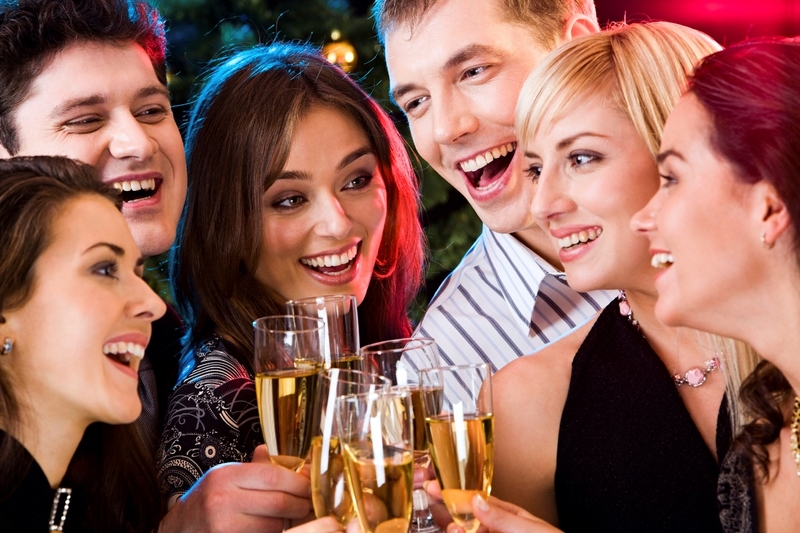 During the party season, there is so much socialising to do that it can be difficult for those of us who aren’t confident in our smiles and this often makes many of us duck for cover as soon as the cameras come out. Too many of us worry about the whiteness of our teeth, but if you start early enough you can have a Hollywood smile just in time for the office party. There are plenty of teeth whitening kits out there and many of them claim to work in just a few weeks. The earlier you start with this, the better, as longer terms kits often produce better results. You can even get an electronic teeth whitener, just like the ones used by dentists - Which can be a god send to those of us who like our coffee black, making teeth whitening a real must for the Christmas party season. Just as hair can be dried out by the harsh winter weather, so can your skin, especially if it isn’t properly protected. Moisturising at least once a day with a paraben free product such as coconut oil or a 24 hour skin treatment will work wonders on dry skin. Moisturising helps to make your skin feel softer and smoother, ideal for when you want to show it off at parties. Doing this, as well as keeping yourself hydrated by drinking plenty of water, you’ll be perfectly happy to show a bit of skin during the festive season. Of course, the party season is a brilliant time to have fun with your closest friends and colleagues, but why not expand your circle a little and make an effort with people you don’t usually socialise with? At work especially, we tend to stick to our own small groups and speak to the same people, but this can actually make for some pretty awkward moments, if we then suddenly find ourselves alone with someone who we’ve been avoiding for the past year! By doing the groundwork now and making an effort to speak to new people at work or in our wider social circles, we can lay the foundations for a much wider and more harmonious network. This will not only have its benefits in our everyday lives, but will also result in parties where we have many more people to speak with than we did before - And it could even result in more receiving more invites to other events! Do you have any tips for preparing for the party season this year?